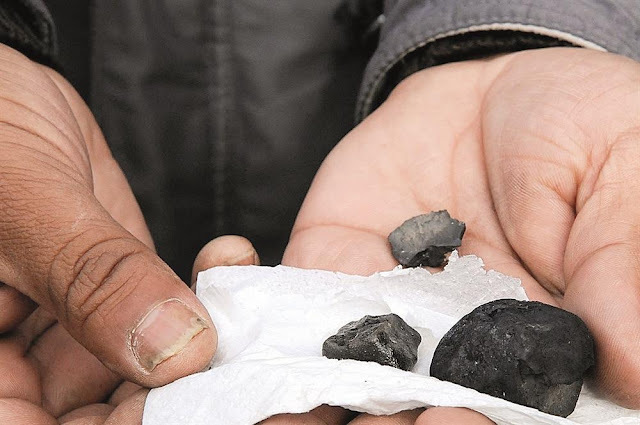 When a 230kg meteoroid exploded and fell on small mountain village in eastern Turkey in the autumn, few could have imagined the wealth it would generate for its 3,200 residents. Long caught up in the crossfire between Kurdish PKK militants and the Turkish army, Sarıçiçek villagers assumed the explosion they heard around midnight on September 2nd and the illuminated sky was as a result of the recently resumed conflict. When small pieces of debris started to rain down on them, they thought it was just shrapnel from another rocket attack. On closer inspection, shopkeeper Mehmet Nezir Ergün realised the black rocks that had littered his garden were in fact pieces of meteorite. He informed officials at nearby Bingöl University, who sent over a team of scientists. Confirming Ergün’s discovery, the university’s Prof. İskender Demirkol then notified NASA, the Turkish Scientific and Technological Research Agency, and his academic colleagues in Istanbul University. Dr. Ozan Ünsalan, a leading lecturer from Istanbul University’s Physics Department, said Sarıçiçek’s meteorite shower was extremely rare – it was only the 21st such event to be recorded in the world. He and fellow scientists concluded that the meteorite originated from Vesta, one of the largest asteroids in the solar system that had first been observed by a NASA spacecraft in 2007. Of greater interest for the villagers was when researchers determined the meteorite was of the precious Howardite variety. A single gram of this glistening grainy rock, which contains up to 60 different elements including titanium and uranium, can fetch £40 on the open market. As details of the discovery seeped out, dealers from around the world descended on Sarıçiçek, prompting a modern day gold rush. Every man, woman and child in the village was out in search of this outer space treasure to sell to collectors, some finding pieces as large as 4-5 kilos. Their commercial savviness has captured global media attention. Over the past few weeks, they have reported on how Sarıçiçek turned rich overnight, with villagers making an estimated £1 million from meteorite sales, allowing many to splash out on new homes and cars in time for the New Year. To tax or not tax a ‘divine gift’? The news also caught the eye of the Turkish Treasury, who wanted to tax the villagers on their sudden good fortune. When officers from the Bingöl Tax Office came to the village, many were upset that their divine gift was liable to a financial levy. The Turkish public agreed. The government's decision added to the festive spirit in the village, who have also gone down in meteoritic history. The International Astronomical Union broke with usual custom to name the September meteorite shower after the village: henceforth known as the Sarıçiçek Meteor. Those who’ve run into Sean Bw Parker will know he’s never shy about stating his mind. Having spent a decade in Istanbul (2004-2014), the British-born writer and musician has witnessed first-hand the huge political, economic and social transformation of Turkey, inspiring him to pen Salt in the Milk – Ten Years in Istanbul. Part factual, part fictional, it captures the zeitgeist of one of the world’s greatest cities. You can virtually hear and taste Istanbul from the book’s opening scene with its call to prayer and işkembe çorbası (sheep intestine) soup, as fictional aristocrat Anthony H. Wolfstadt recounts through an alcoholic haze about life in the city and his murky expat dealings. And so begins Parker’s witty, acerbic and engaging collection of essays: a mad mix of music, politics and culture that encompasses his views on the Gezi riots and the role of women in Turkish society, through to live music reviews of the great and the good that perform in Istanbul, among them Dr John, The Pixies, and Tori Amos. It makes for a fascinating journey about this unique country, which ends with Parker reflecting upon ‘rakı and ruin’. Sean Bw Parker & friends enjoying the good life in Istanbul, 2014. 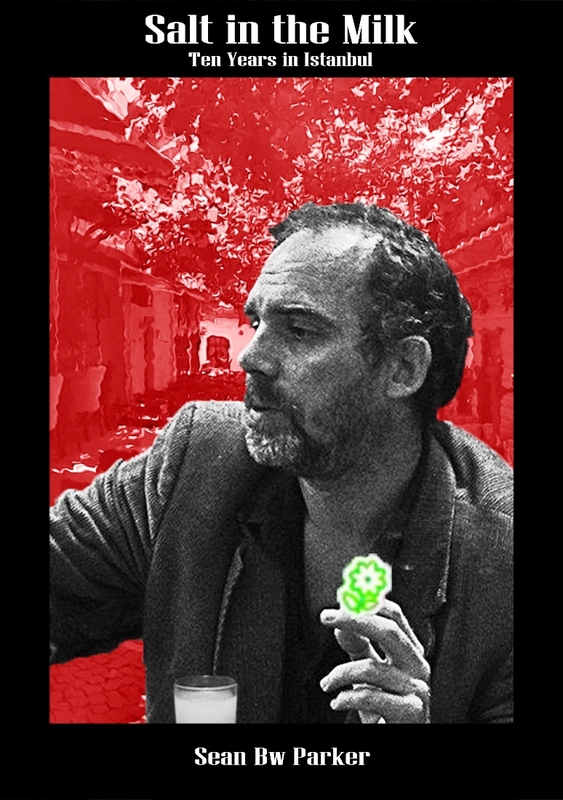 In Parker’s newly released follow-up book, Genuflecting Before the Pork-Barrel Demagogues, we pick up on the adventures of the shady Anthony H. Wolfstadt, newly deported back to Britain after outstaying his welcome in Turkey by a decade. He tries to leave his alcoholic, ex-colonial ways behind and to readjust to a culture he was never really a part of in the first place. Still recovering from the political hangover of an increasingly Islamified Turkey, Wolfstadt discovers that things are not much better in the surveillance society of the familiar yet strange homeland that he has been thrust back into. Two very interesting reads, download or purchase them as a paperback from Amazon or Createspace. Born in Exeter in 1975, Sean Bw Parker now resides in Chichester having spent a decade in Istanbul, where he pursued his twin loves of music and writing. 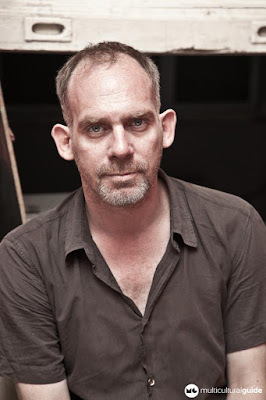 The singer-songwriter and guitarist formed a number of bands whilst in Turkey, his best known being indie rock outfit Scorpio Rising, and worked with diverse artists such as experimental musician Ettuspadix. He has also appeared on stage alongside the likes of Ed Harcourt, John Robb's The Membranes and Turkish art rock band Replikas in Turkey’s notable music venues and festivals. To date he has released six albums and through his Seraglio Point Productions label many more for artists such as Mikey Georgeson (The Vessel from David Devant and His Spirit Wife), The Steve Dior Band and Metamono. A prolific writer, Parker’s articles have been published in Cosmopolitan, Time Out, NME.com, USA Today, and the Multicultural Guide. He is also regular contributor for Louder Than War. A stammerer himself, Parker presented a TED talk at Istanbul's Kadir Has University titled 'Stammering and Creativity', one of the most watched internet videos on the subject. He has his own entry in Ekşi Sözlük (‘Sour Dictionary’) – one of Turkey’s largest online communities where users add their descriptions and views on topical issues, high-profile people, places, and events. Comments include about Parker's “entertaining English classes”, and how, as a well-known [Istanbul] personality, he is always among the first to come to mind when sending out event invites via Facebook. 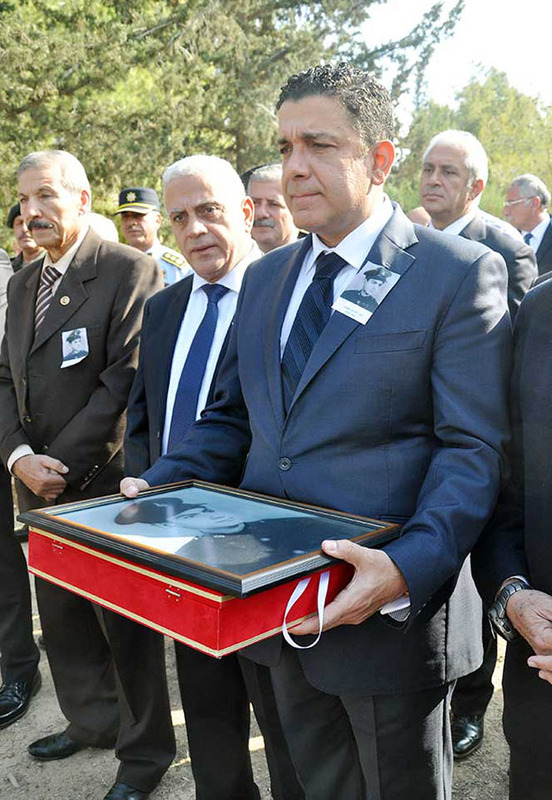 A Turkish Cypriot police officer has been laid to rest 52 years after his murder. 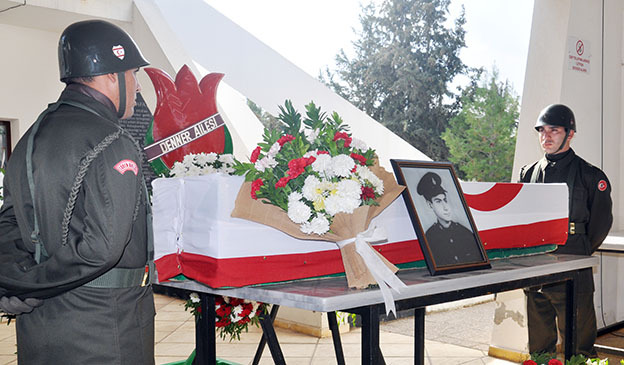 Hasan Nural Cevdet Ezel was buried in Lefkoşa with full military honours on 27 November, in the presence of his family and friends. 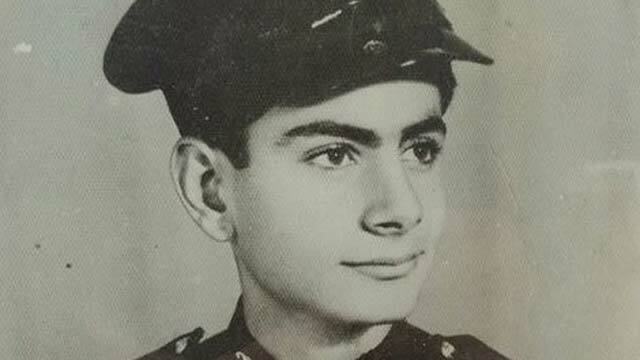 Officer Ezel had been on duty at Koççinodrimitya Police Station, located just outside of the capital, when he was abducted in December 1963 by EOKA forces. The 25-year-old was never seen again. 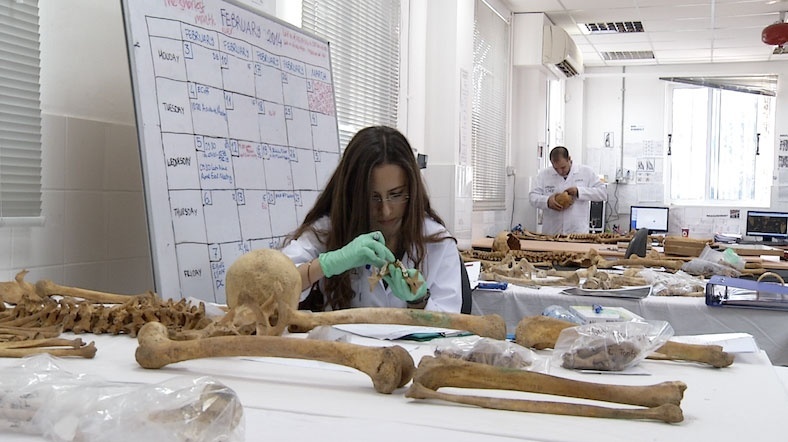 Years later, following an appeal by writer Sevgül Uludağ, who has been instrumental in helping to piece together information about Cypriots missing during the conflict, a Greek Cypriot came forward to give details about Hasan Ezel’s fate. According to his testimony, on 28 December officer Ezel and three fellow Turkish Cypriot police officers were abducted and taken to a hill a few kilometres away from Koççinodrimitya Village. All four were shot and dumped in a well. This and similar events that took place during a ten-day period dubbed ‘Bloody Christmas’ in 1963 was part of a brutal coup by Greek Cypriots. They seized power by killing dozens of Turkish Cypriots, while forcing thousands more from their homes in a climate of fear that would last for 11 years until Turkey’s intervention in July 1974. There were a total of 18 wells on the hill and the vital information helped the UN Missing Persons Committee to locate the remains of Hasan Ezel and return them to his family. His nephew, businessman and Olay newspaper owner Nural Ezel, travelled to Cyprus to attend the funeral, which was led by his aunts, Hasan Ezel’s sisters Meral Tektan and Sevim Tanaydın. The sisters told media about how hard their brother’s disappearance had been on the family, especially for their mother who prayed daily for news about her missing son. Sevim Tanaydın said she died of a broken heart 18 years ago having never discovered his fate, as did his two brothers. 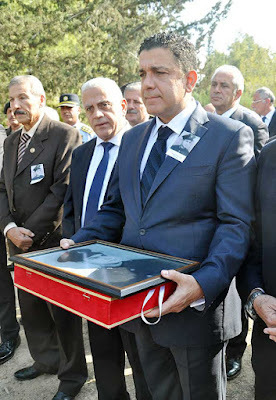 On 11 December, Özel Reşat Kansoy, a teacher and writer who had also been abducted and murdered by EOKA over 50 years ago, was buried with full military honours in Lefkoşa. 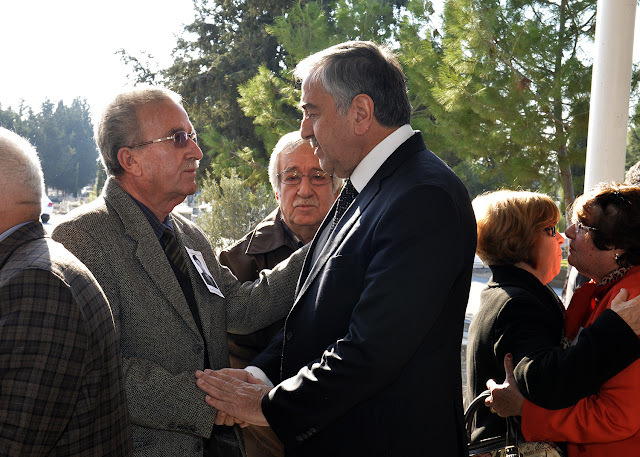 Among those attending his funeral was TRNC President Mustafa Akıncı. Born and raised in a village just outside of Limasol, Kansoy was aged 31 when he and a friend, Bayar Piskobulu, disappeared, along with their van driver Erol İsmail, on 18 April 1964. Their remains were found earlier this year in the Maşera Forest. 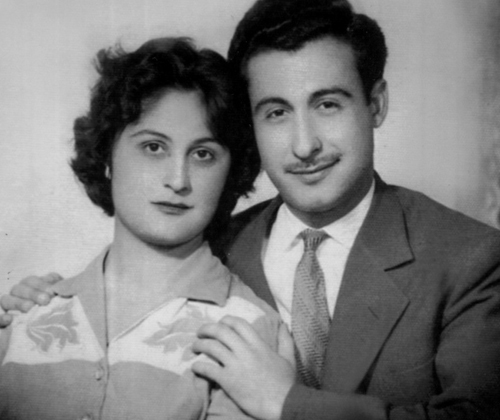 Both teachers, Özel and Ülker Kansoy married in 1960. Following the Greek Cypriot coup in December 1963, the island had been plunged into inter-communal fighting. During a lull, Kansoy decided to take his elderly father Reşat, suffering from a serious liver disorder, to a hospital in the capital. After being treated, his father returned to Limasol safely. Özel stayed on in Lefkoşa. He and Piskobulu then got a lift from Erol İsmail, who had a delivery of Cyprus cognac to make in Limasol. Kansoy was an occasional contributor to Halkın Sesi newspaper, which reported the three Turkish Cypriots as missing in an article on 21 April 1964. It stated that they had set off at 4.30pm in the afternoon. According to friends, their last known sighting was on the outskirts of Lefkoşa. Well-known and well-liked, the inspirational Kansoy had married a fellow teacher, Ülker, in 1960 and became a father to a baby girl, İnanç, six months prior to his disappearance. While the family had long since accepted that he had been murdered, the discovery of his remains brought to the fore the pain of his loss by a wife in the prime of her life and a daughter who was deprived of the love and support of a father. The TRNC President, also from Limasol, and his wife Meral, along with many other notables joined Özel Reşat Kansoy’s relatives and family friends to mourn his loss at the funeral last Friday. 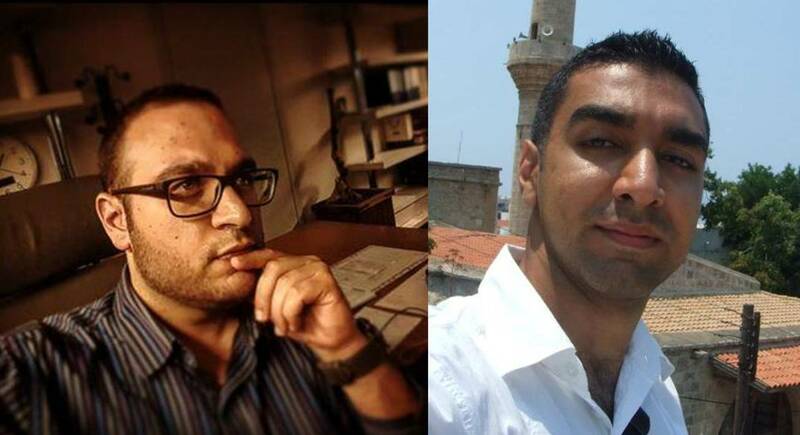 The remains of both Özel Reşat Kansoy and Hasan Nural Cevdet Ezel were discovered by the Committee on Missing Persons in Cyprus (CMP). This bi-communal body was established in 1981 by the leaders of the Greek Cypriot and Turkish Cypriot communities with the participation and support of the United Nations. A total of 1,508 Greek Cypriots and 493 Turkish Cypriots were reported missing during the Cyprus Conflict that occurred between 1963 and 1974. The CMP’s objective is to recover, identify, and return to their families the remains of these 2001 missing persons. 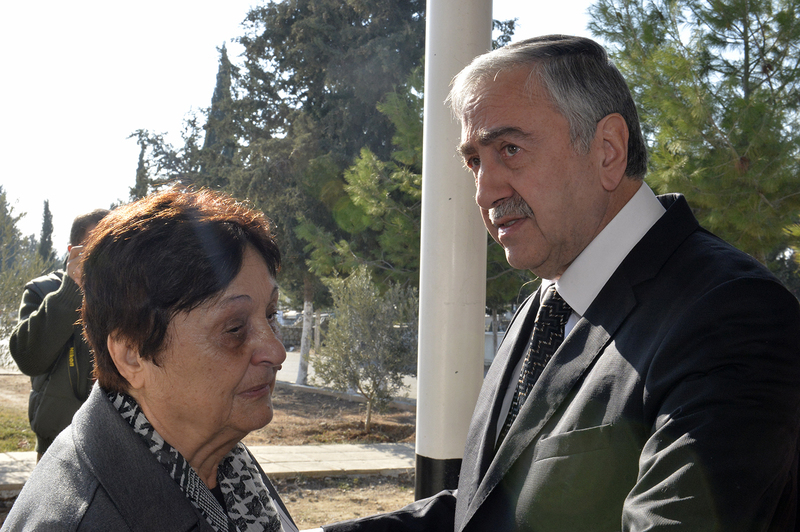 To date, the CMP has returned the remains of 618 people to their relatives, 148 of them Turkish Cypriot. A further 1,017 bodies have been found on excavated sites and exhumed, and now await identification. Some 20 million Euros have been donated by the EU, the Greek and Turkish Cypriot authorities, and many countries around the world to assist the work of the CMP. Approximately half the money has been used for excavation and exhumations, a third on genetic identification, with the remainder on anthropological analysis. The group’s work was captured in a short documentary, Digging for a Future, in 2010, which was made with the support of the EU. You can watch the 20-minute clip here. Turkey will face reigning champions Spain, the Czech Republic and Croatia as its group-stage opponents at the UEFA European Championship in France next summer. 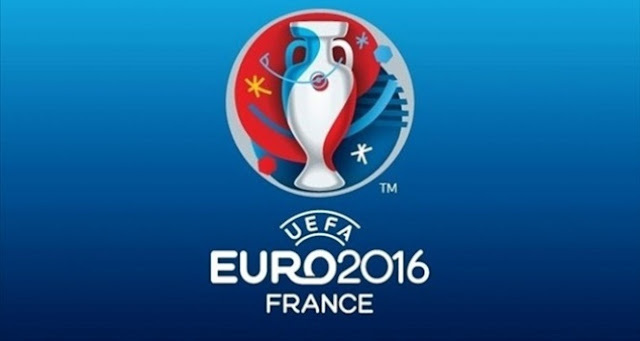 The draw for Euro 2016 was made in Paris yesterday afternoon and televised live worldwide, with the national coaches of the 24 teams looking on. The competition includes hosts France, world champions Germany, as well as England and Wales, who were both drawn in the same group. The Turkish national team made a dramatic entry into the final 24 following a late flourish with its qualifying group matches. The team beat Iceland 1-0 at home in its final game in October, while nearest rivals Holland lost 2-3 at home to group leaders the Czech Republic, allowing Turkey to grab a place in the Euro 2016 Finals. Turkey opens the Group D matches with a game against Croatia on 12th June, with all three group games taking place in a 10-day period. Turkey’s group match dates and (UK) kick-off times are given below. The winner and runner up from Group D automatically go through to the final 16 of the knockout stages, which start on 25 June. The final will be played on Sunday 10th July. Group A: France, Romania, Albania, Switzerland. Group B: England, Russia, Wales, Slovakia. Group C: Germany, Ukraine, Poland, Northern Ireland. Group D: Spain, Czech Republic, Turkey, Croatia. Group E: Belgium, Italy, Republic of Ireland, Sweden. Group F: Portugal, Iceland, Austria, Hungary. A scientist from Turkey, now based in America, has been recognised for his vital scientific discovery of how cells repair damaged DNA. 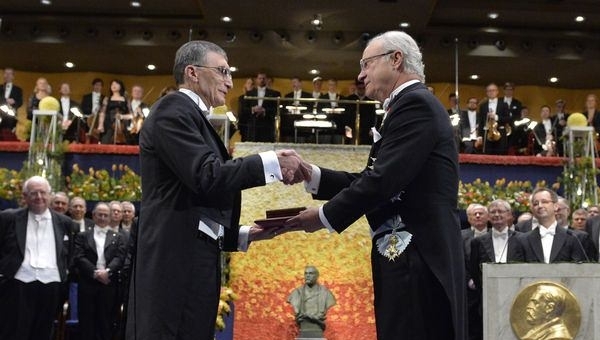 On Thursday 10 December, Professor Aziz Sancar was one of three to receive the Nobel Prize in Chemistry from King Carl XVI Gustaf of Sweden at the Stockholm Concert Hall, after the orchestra played a rendition of Mozart’s Turkish March. His family, the Turkish ambassador to Sweden, and several Turkish journalists were among those the professor had invited to the award ceremony, which was televised live to the world. 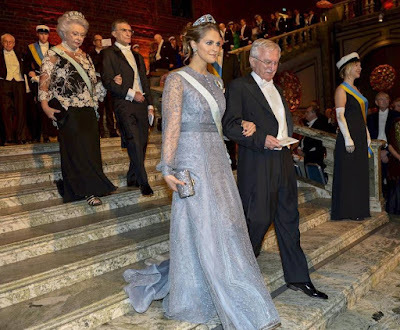 In the evening, the Swedish Royal Family hosted a magnificent banquet at Stockholm's City Hall in honour of the winners. 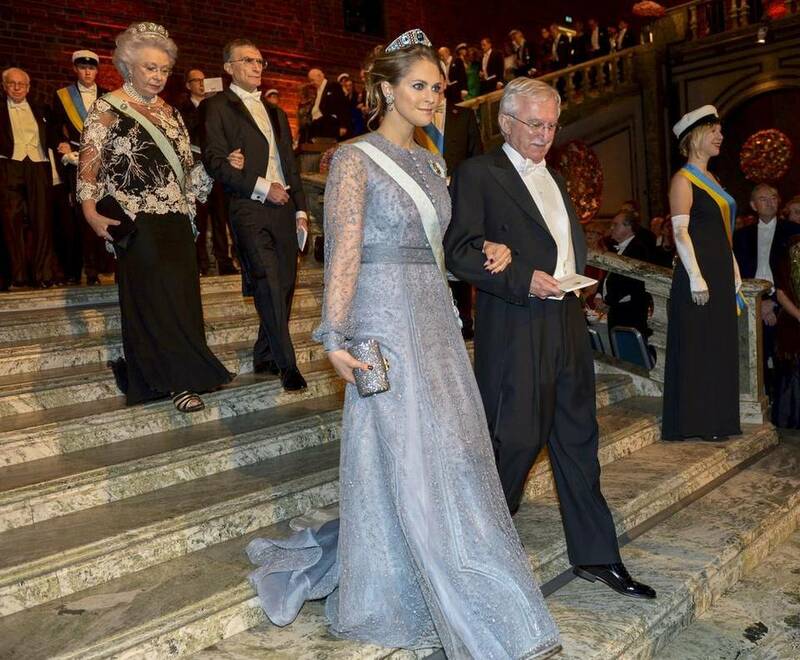 Each Nobel Laureate arrived with a member of the royal family, with Princess Christina – the Swedish King’s youngest sister – accompanying Prof. Aziz Sancar. The award is an important milestone in Prof. Sancar’s incredible life journey given his humble beginnings in rural Turkey. He was born in Savur, near Mardin in southeast Turkey, in 1946, the seventh of eight siblings. Although his parents were illiterate, they knew the value of education and did all they could to ensure their children completed their schooling. A gifted student, Sancar also showed promise at football. He was the goalkeeper for his high school team and trialled for the Turkish national youth football team. He dreamt of success in both, but when it was clear his life was not to be as a top footballer, he dedicated himself to his studies. He graduated first in his class from Istanbul University’s Faculty of Medicine in 1969. After two years working as a doctor near his home province, he decided to pursue a career in biochemistry. In 1971, he was awarded a PhD scholarship by TUBITAK (the Turkish Scientific and Technological Research Council) as part of the NATO Science Fellowship Programme. This grant enabled Sancar to move to the United States in 1973, where he studied molecular biology, completing his Ph.D. on the photo-reactivating enzyme of E.coli from the University of Texas, Dallas, in 1977. After his graduation, as he could not get a postdoc position, he took up a laboratory technician’s position at the Yale University School of Medicine – one of the leading centres for DNA repair research. Five years later, he accepted an offer to join the University of North Carolina School of Medicine as an associate professor in Biochemistry. He is now the university’s Sarah Graham Kenan Professor of Biochemistry and Biophysics. Since the 1980s, he has been investigating the Photoenzymic Repair of UV-Damaged DNA. 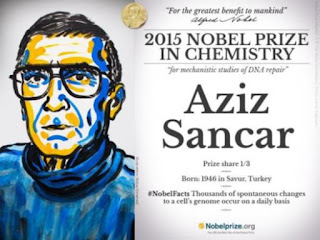 Several NATO Collaborative Research Grants have helped Sancar and his colleagues to pursue their important scientific studies, which eventually resulted in the Nobel Prize-winning work that was internationally recognised this year. The Turkish professor has won multiple awards during his career, both in the USA and in his native Turkey. They include: Young Researcher of the Year from the US National Science Foundation (1984), the TÜBİTAK Science Award (1997), and the Vehbi Koç Award (2007). In 2005, he became the first member of Turkish origin to be elected to the American National Academy of Sciences. This year, he and his two colleagues, Tomas Lindahl and Paul Modrich, received the Nobel Prize in Chemistry for their mechanistic studies of DNA repair. 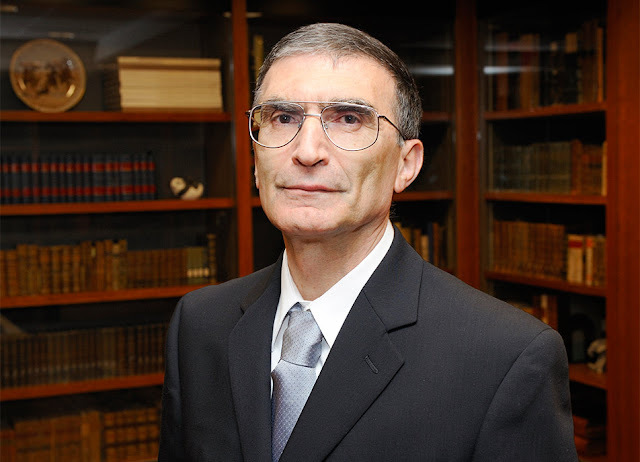 Prof. Sancar’s contribution was to map the mechanism that cells use to repair UV damage to DNA. This discovery gives us a better understanding of how our bodies fix DNA mutations caused through aging, serious illnesses, and also through the use of harsh medical treatments such as chemotherapy, which also damage DNA. He has dedicated his Nobel Prize to Mustafa Kemal Atatürk, the founder of modern Turkey, who placed huge importance on the education of the republic’s citizens, especially girls. It is an aspect Prof. Sancar has also drawn attention to following his new-found fame, also emphasising the need for Turkish girls to be allowed to complete their schooling. Aziz Sancar is the third person born in Turkey to receive the prestigious Nobel Prize. 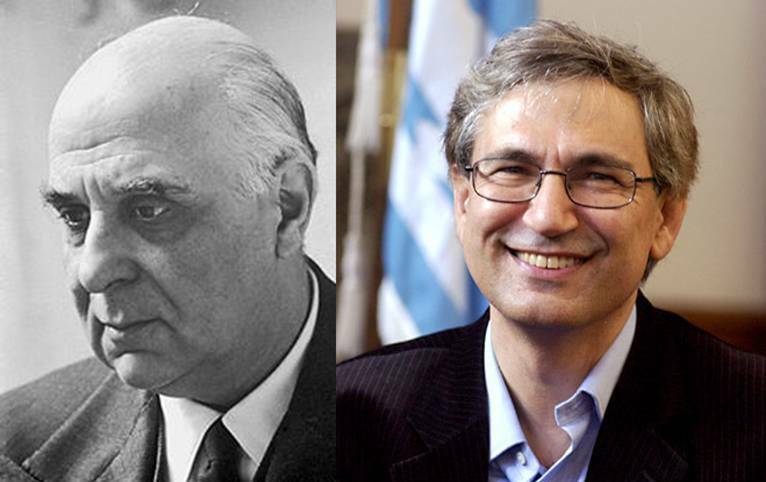 The first was George Seferis. Of ethnic Greek origin, Seferis was born in Urla, near İzmir, in 1900. His family moved to Athens in 1914 and after graduating from university, he joined Greece’s Ministry of Foreign Affairs, rising through the ranks to become a leading diplomat. He was also a renowned writer and poet, and it was "his eminent lyrical writing, inspired by a deep feeling for the Hellenic world of culture" which brought him the Nobel Prize for Literature in 1963. Forty three years later, another writer from Turkey – Orhan Pamuk – also received the Nobel Prize for Literature. The Istanbul-born best-selling novelist has had his books translated into 60 different languages, making him one of Turkey’s best-known literary exports. Explaining why he had been awarded the Nobel Prize in 2006, the Swedish academy said: "In the quest for the melancholic soul of his native city, [Pamuk] has discovered new symbols for the clash and interlacing of cultures." What is the Nobel Foundation? Located in Sweden, the Nobel Foundation is a private institution established in 1900, based on the will of Alfred Nobel. In line with his wishes, each year the Foundation oversees the awarding of the Nobel Prize in Physics, Chemistry, Physiology or Medicine, Literature and Peace, for those whose work offers “the greatest benefit to mankind”. The Foundation also organises a range of related activities such as the Nobel Symposia, which has been held annually since 1965 to enable the discussion of vital scientific developments or topics of primary cultural or social significance, with the contributions published in a book and online. 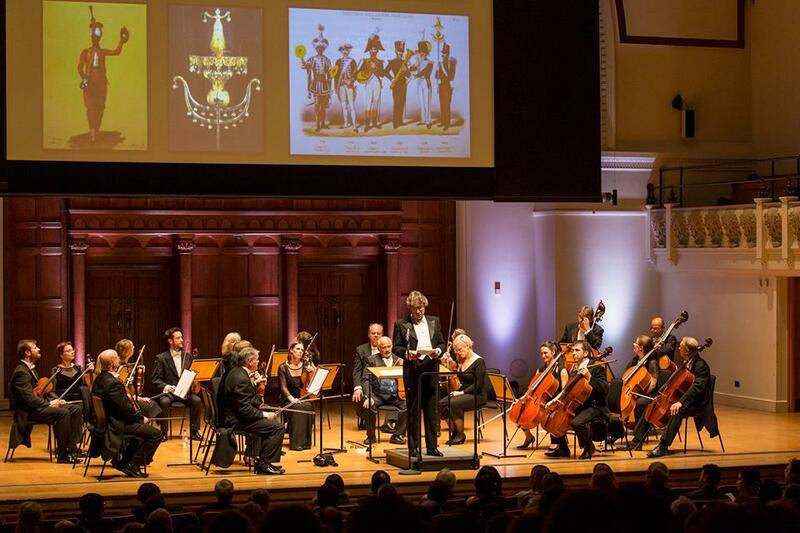 On 27 Nov., Chelsea’s Cadogan Hall played host to an exquisite evening of music celebrating the European classical music traditions of the Ottoman Court. Under the expert guidance of conductor and composer Dr Emre Aracı (one of the world’s leading authorities on Ottoman classical music), the Chamber Ensemble of London performed 12 original compositions in a style not usually associated with Turks. During the 2-hour concert (see a short clip of it here), organised by the Yunus Emre Institute and the Turkish Culture and Information Office in London, we heard hidden gems from the inner sanctuaries of the Ottoman rulers: waltzes, polkas and marches that had been composed by masters of music resident in Constantinople (Istanbul), as well as members of the Ottoman Imperial family. In between each, Dr Aracı gave a short overview about the piece and the background to its creation. The programme opened with Jean-Baptiste Lully’s (1632-1687) grand Marche pour la Cérémonie des Turcs. The prolific Italian-born composer worked in the French court of King Louis IV and is regarded as the father of the Baroque style of music, which was in evidence here. Dr Aracı arrived on stage playing a sistrum-like instrument with bells that kept the beat, in keeping with the traditions of a Janissary (Turkish military) band. The Turkish Ambassador’s Grand March by W.P.R. Cope, was the second piece. It was written in honour of Yusuf Agah Efendi – the first resident Ottoman envoy to Britain – who arrived in London in 1793. A highly cultured individual, the Ottoman ambassador spoke English, Greek and Italian, and became a regular attendee and host of dinners, concerts and balls attended by English aristocrats and foreign dignitaries. "who knew how affected the Sultans had been by European classical music, or that they had written such masterpieces?" European classical traditions became more apparent in the Ottoman court with the growing presence of international composers in Constantinople. One of the most important was Giuseppe Donizetti, the eldest brother of renowned Italian opera composer Gaetano Donizetti. Giuseppe arrived in the city in 1828 as the Instructor General of the Imperial Ottoman Music to the military bands and the family of Sultan Mahmud II. Expecting to stay just a few years, he remained until his death 28 years later in 1856 and became affectionately known by Turks as ‘Donizetti Pasha’. The next two compositions we hear are by the Donizetti brothers, marches dedicated to Sultan Mahmud II and Sultan Abdulmecid respectively. These were followed by the Charles Louis Napoléon d’Albert’s Sultan’s Polka and Callisto Guatelli Pasha’s Marche de L’Éxposition Ottomane, which concluded the first half, where foreign composers had created music for the Sultans. 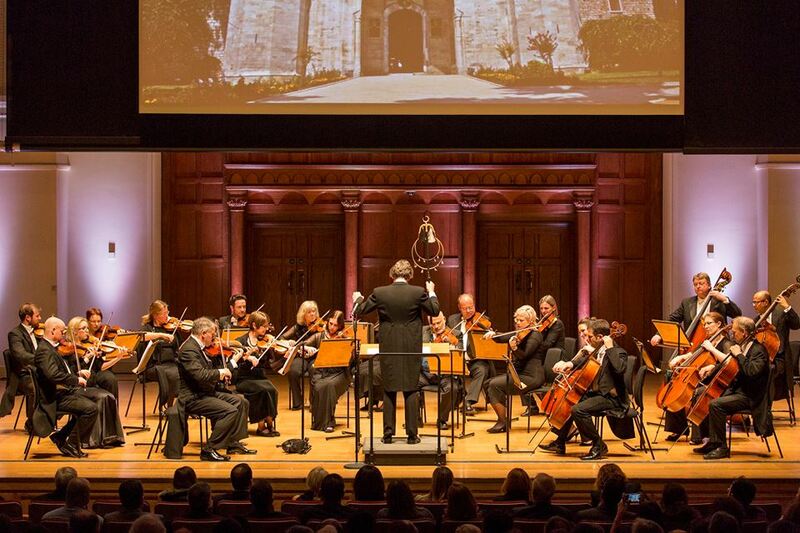 The second half of the concert was dedicated to compositions by the Ottoman Sultans and members of their family, starting with the delightful Schiarky by Sultan Mahmud II (1785-1839). This was followed by a number of waltzes: Sultan Abdülaziz’s (1830-1876) Invitation à la Valse, Rifat Bey’s (1820-1888) Prière pour Sultan Murad V, and Sultan Murad V’s (1840-1904) Valse en Mi Bémol Majeur. One could imagine the elegant balls of a bygone era, when high culture reigned along the banks of the Bosphorus. The evening concluded with two marches. 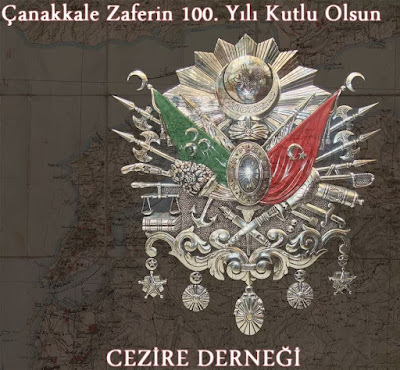 The first by Fehime Sultan (1875-1929), an Ottoman princess and daughter of Sultan Murad V, who wrote Marche L’Union National, and Burhaneddin Efendi (1885-1949) – the son of Sultan Abdul Hamid II – and his glorious Grande Marche. "Waltzes with Sultans: a glorious past that needs to be more widely recognised and celebrated." Talking to audience members afterwards, it was clear that for many of us the evening was a complete eye-opener. We are used to the wonderful musical legacy of the Ottomans and the east, but who knew how deeply affected the latter-day Sultans had been by European classical music, or that they themselves had written such masterpieces? Those who believe that the Turks’ fascination with Western culture began with Mustafa Kemal Atatürk and the newly created Turkish republic of 1923 are clearly mistaken. As Waltzes with Sultans demonstrated, it was the Ottomans who seeded a love of European music and culture some one hundred years earlier. It’s a glorious past that needs to be more widely recognised and celebrated. Two keynote speakers are taking part in a special talk in North London this Saturday to commemorate the centenary of the Battle of Çanakkale (Gallipoli). Organised by the Cezire Association, speakers Ertan Karpazlı and Mustafa Kureyşi will put the spotlight on the role of the Turks of Cyprus during this famous battle and in the years immediately after. 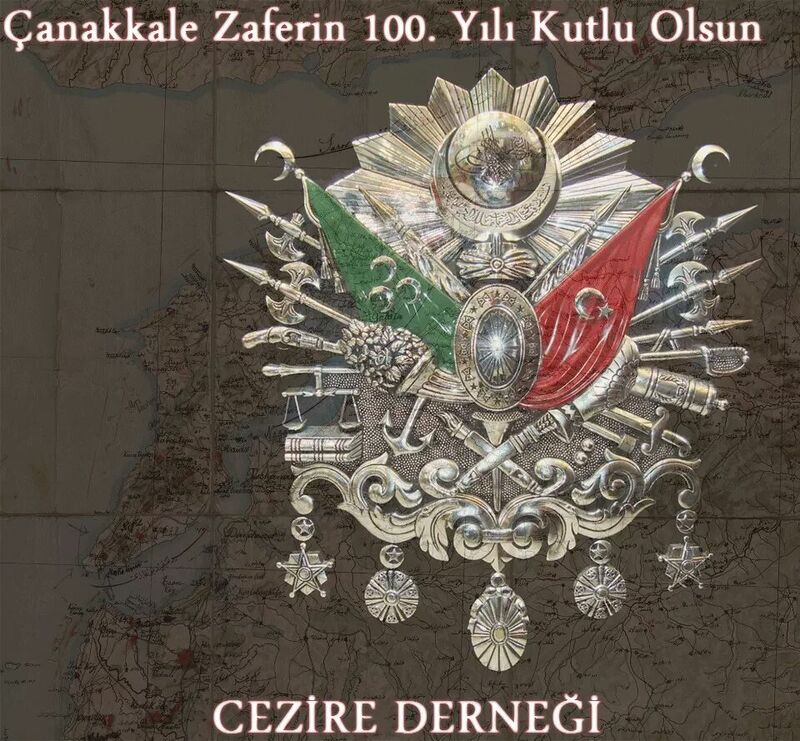 Journalist and Cezire Association Turkey Representative Ertan Karpazlı will highlight the participation of Cypriot Turks at Çanakkale in 1915, and how their role continued into the Turkish War of Independence, which started in 1919. The title of the second talk by academic Mustafa Kureyşi, a specialist in Cypriot history and Islam, is: Turkish prisoners of war in Famagusta and the organisation for union with Turkey. Through newly discovered primary sources, Kureyşi will explain what happened to the Ottoman Turks caught as prisoners of war (PoWs) by the British during the Battle of Çanakkale and brought to British-occupied Cyprus. It includes an incredible plan to rescue them and to start a revolt to return Cyprus to Ottoman Turkey. Abdurrahman, a music conservatory student, is eager to perform the mevlit (a hymn about the birth of the Prophet Muhammed) just as it was hundreds of years ago. He sets out to learn by meşk (one-to-one training in the traditional arts), an increasingly rare form of teaching given the dwindling number of master practitioners. During a holy night, Abdurrahman is touched by a beautiful recitation of the mevlit at Istanbul’s famous Sultan Ahmet Mosque and seeks out the mevlitçi (professional orator of mevlit) to ask to become his pupil. 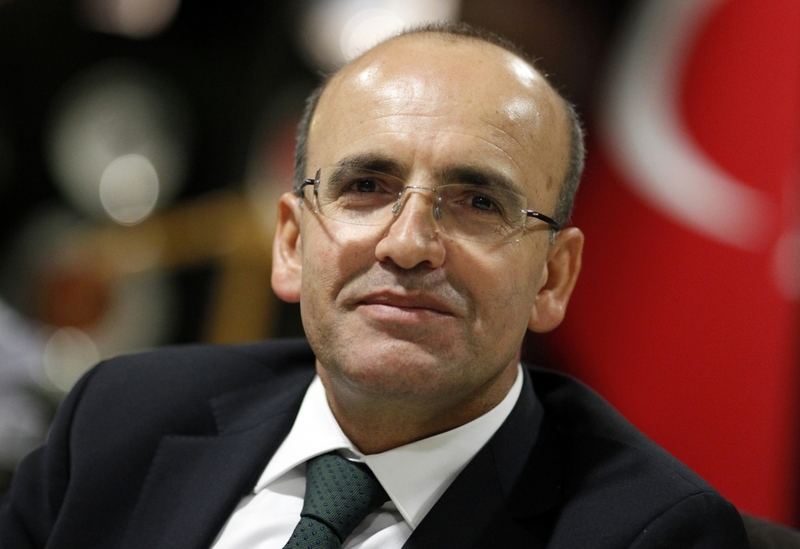 The master, Mustafa Başkan, turns out to be Turkey’s leading mevlitçi. Set in modern times and told as a docu-drama, this classic student-master story is an authentic depiction of receiving meşk. Director Murat Pay captures the special bond between the pupil and teacher who together journey back hundreds of years to the roots of Turkish classical music, visually demonstrating the importance of the tradition of mevlid-i şerifii, and the joy and comfort it brings Muslims during births, deaths, and life’s other critical moments. 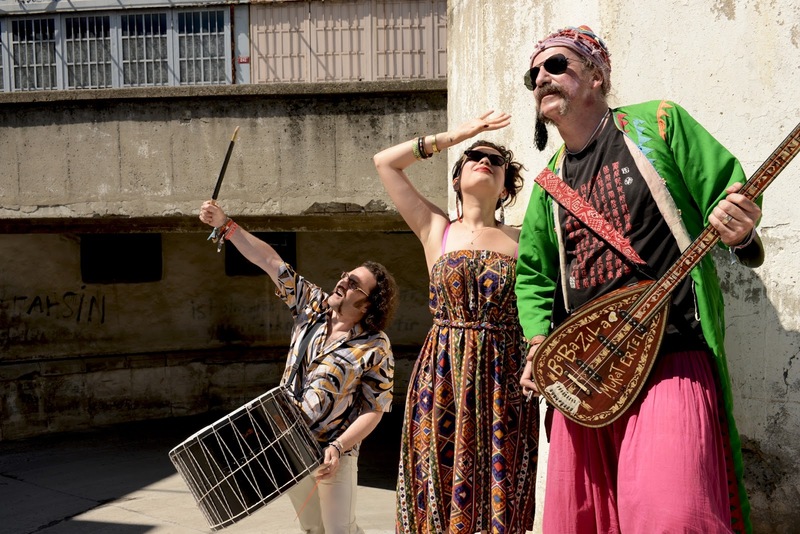 Described as “art-anarchists”, BaBa ZuLa have carved out a name as fine purveyors of alternative Anatolian music, a hip psychedelic blend of electro, dub, funk, rock ‘n’ folk. Lyrically conscious, their other-worldly Oriental dance beats, playful dress sense, and surreal live performances have gained them a huge global following. They featured in Fatih Akın’s seminal film Crossing the Bridge: The Sound of Istanbul (2005), and the band remains an international reference point for those wanting to dig deeper into the progressive politics and sounds of contemporary Turkey. Their origins date back to their student days at Boğaziçi University in the late 1980s, when founder members Osman Murat Ertel, Levent Akman and Emre Onel were all part of a musical collective called Zen. They started out playing psychedelic rock, but quickly decided improvising was more fun. In 1996, a chance film project resulted in the need for a second band. 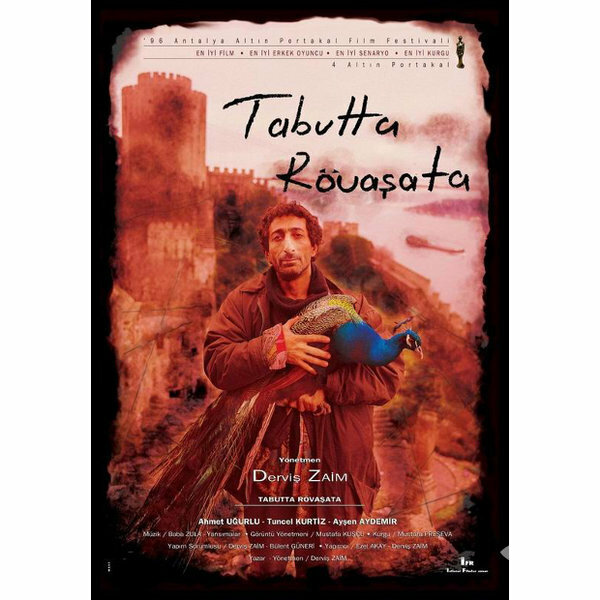 A university friend, Turkish Cypriot film director Derviş Zaim, wanted Zen to do the soundtrack for his new movie Tabutta Rövaşata (Somersault in the Coffin). After watching it, most of Zen refused to be involved, but Ertel, Akman and Onel liked the film and so formed a mini band they called BaBa ZuLa (the name means ‘Big Secret’) to do the music. Following its release, the film won multiple awards, pushing the trio into the spotlight. A live concert led to even more invites, prompting them to co-opt American bassist William MacBeath and, through him, saxophonist Ralph Carney for their performances. Guest musicians have been a regular feature of the band ever since. Over the past two decades, their collaborators have included London dub master Mad Professor, Jamaican reggae stars Sly and Robbie, and Dr. Das (Asian Dub Foundation), as well as Turkish Romani clarinet virtuoso Selim Sesler and iconic actor Tuncel Kurtiz, whose distinctive vocals appear on several BaBa ZuLa tracks. Like the band’s line-up, their musical journey has also been fluid. They have released eight studio albums to date, with Ruhani Oyun Havaları / Psychebelly Dance Music (2003), produced by Mad Professor, and Kökler / Roots (2008) among their best known internationally. The band’s knack of harmonising traditional Turkish instruments with western beats without ever diluting their Anatolian identity has made them firm favourites at home, while propelling them onto the global stage as one of Turkey’s most successful musical exports. Their current album, 34 Oto Sanayi, released last November, is their most political. It’s named after the location of their music studios on an industrial estate full of garages and a few artists’ studios, dwarfed by the newly-appearing skyscrapers that threaten to consume the whole of old Istanbul. The album’s eight short tracks cover everything from bigotry to women, minorities, and a song titled Epic Resistance / Direniş Destanı. Not surprisingly, the Turkish government is not keen, but BaBa ZuLa remain undeterred. Their fans regard them as ‘kent âşıkları’ – modern city minstrels whose musical poetry brings the problems of ordinary folk to the fore, while helping to spread the love of life, God and people. 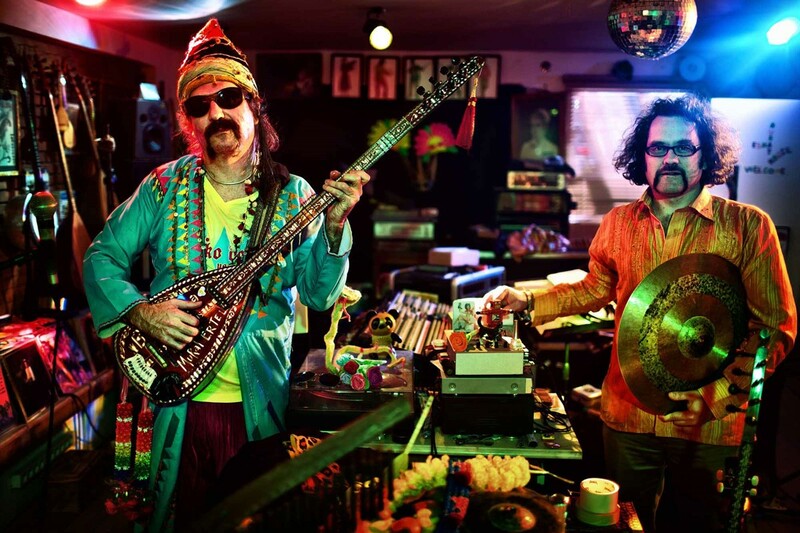 BaBa ZuLa live in London on 22 Nov. This Sunday, 22 November, BaBa ZuLa will be playing at Epic in Dalston, east London, as part of their 20th anniversary world tour. We asked Murat Ertel about his inspirations and what’s next for Istanbul’s finest psychedelics. Did BaBa ZuLa set out to be radically different when the band was first formed in 1996? I always want to do what I really want. Realising dreams is one of the best parts of life. Being different has never been a priority. If you decide to stay as your original self and try not to follow success formulas, then you find yourself tagged as different for sure. Great troubadour musicians visiting our family home, like Ruhi Su and Aşık İhsani, were my early Turkish heroes. Then I began listening to Turkish psychedelia, [artists] like Barış Manço and Fikret Kızılok. When I started going to high school, Santana, Hendrix and The Doors were among my idols. My family. They [father Mengü Ertel, mother Ülfet Selçuk, uncles İlhan and Turhan Selçuk] were very well known in my country and pretty successful internationally, and had many similar friends, so I didn't have to decide to be an artist. I immediately began creating. They also made no compromise for fame or fortune till the end of their lives, which deeply inspired me. So who are the current band members and where are you all from? I sing, and play the electric saz, Cura, synthesiser, percussion, and Theremin. 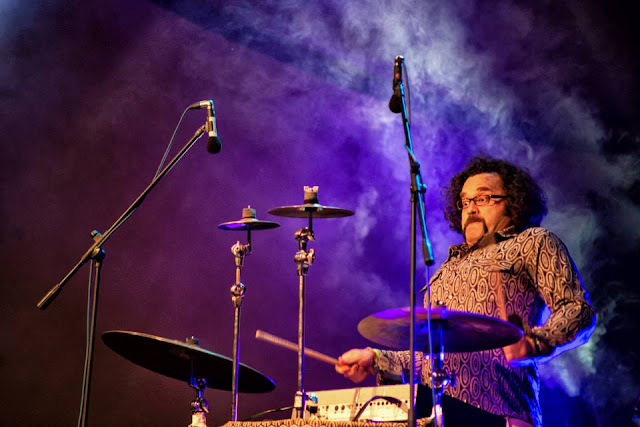 Levent Akman plays spoons, cymbals, gongs, and percussion. Özgür Çakırlar plays the darbuka, drums, bender, [frame drum], and percussion. Melike Şahin sings. And Periklis Tsoukalas plays the electric oud, vocals and synth. Everyone except Özgür lives in Istanbul. I think only me and Melike were born here. Our families are originally from Istanbul, though Levent's family is also from Istanbul. The 21st century sound of Istanbul. We have so many influences, like dub, punk, funk, rock etc. mingled with our geographic culture. In the past, it was always me writing the lyrics and melodies, and Levent producing the rhythms, but since the last album, there's more lyrical input from Melike and melodies from Periklis. Which of your albums gave you the most satisfaction? I would say our last album [34 Oto Sanayi] because it is our first vinyl, and lyrically and musically it's very different from our previous albums. Do crowds in Turkey respond differently to your music to those abroad? Yes, they tend to dance more and understand the lyrics easily. But if we are around the Balkans, Greece, Mediterranean or North Africa, then dancing is no problem. There are fantastic responses elsewhere too: some Shamanic rituals, catharsis and ecstasy [occur] with no concept of borders. 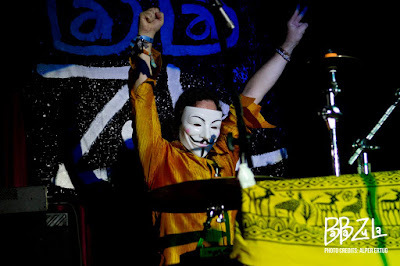 For those who’ve never been to one of your concerts, what they can expect from BaBa ZuLa live? A strong, deep connection with a specific Oriental culture and geography, that’s also familiar. Lots of effects to stimulate different senses, and a psychic experience if our performance is good. How involved are you with the band’s visuals? My father was a well-known graphic designer, so I learnt about the inter-discipline of contemporary arts from him. I designed our logo and I am the sole art director for all our album covers. I always consult Levent, but mostly the concert projections are my ideas too. Sometimes we work with special artists of course, but conceptually we have to be in control. BaBa ZuLa is currently celebrating its 20th year. How have you evolved? What have been your highs and lows? 20 years is too long [to describe]. I think it's getting better and better. We became a group that can perform and is known around the world, having produced 8 albums. 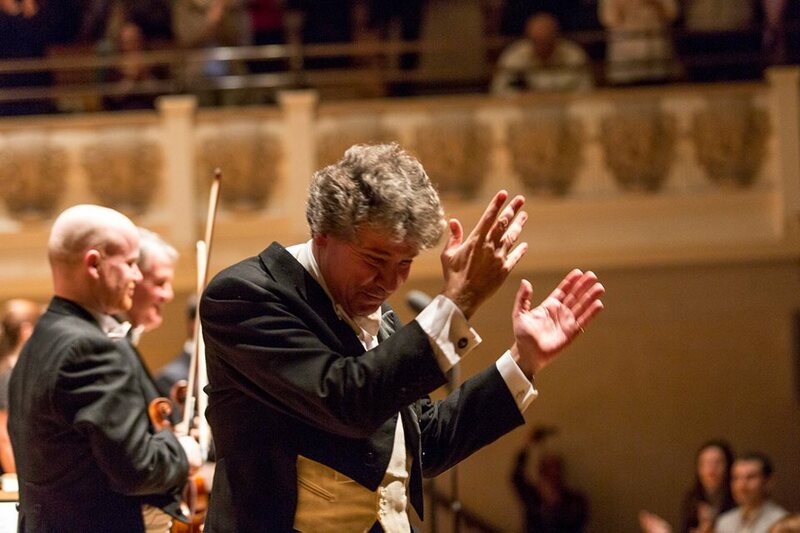 We give about 90 concerts a year and spend around 200 days on the road. [Over the years] we have more things than we need, and [won] many awards for best film score or best theatre music band of the year etc. We are very modest, just wishing to play the music we want, and still we do it: that's the high point of my career. And now we can do it around the world. Best international festivals you have performed at? We’ve played Roskilde in Denmark, Memphis in May in the US, and the Spirit of Tengri Festival in Kazakhstan, the Cannes Film Festival, the Taormina Film Festival – hundreds of festivals! I love festivals. In the UK we performed a few times at festivals too. The one I can not forget was the Festival of the Dying and the Dead in London. Your music’s always had a politically conscious element to it. Has it become more difficult to earn a living in Turkey? Now our country is in a civil war and this makes things worse than before. Many gigs are cancelled and people are getting killed. Because of our lyrics, we have been banned from lots of TV and radio channels and today's conditions do not help, but we won't compromise. Are BaBa ZuLa still scoring soundtracks? Yes. We have done music for many movies, documentaries and theatres since [Tabutta Rövaşata]. We also do live music for silent movies. How many countries will you be visiting on this tour and is it your biggest-ever world tour? Yes I think so. It's the biggest since we were formed back in 1996. We cannot count countries, but counting the continents, there’s five of them. 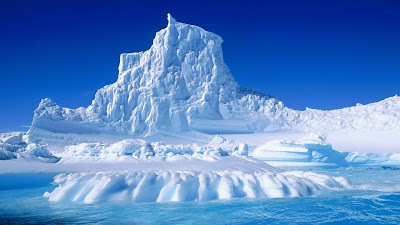 Speaking of two where we might not be able to perform [on this tour]: I really hope we can play again in South America and we have never performed in Antarctica – that would really be something. What else will you be doing for your anniversary? We are planning a compilation album of old and new unreleased stuff, remixes and collaborations. Which new artists would you like to work with? 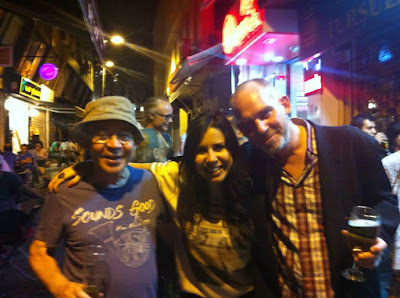 Artists from the Argentinean Nu Cumbia label ZZK RECORDS – we love their releases and always dance to them. 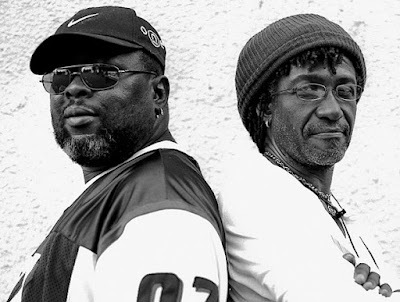 ZZK mostly, and the new wave of African Dub is also very appealing. As always, the old funk blues and psychedelia of 1960s and 1970s. Turkish records from this period have been a favourite and it feels so good that the world is finally catching up with them. Everybody seems to know and dig Selda [Bağcan] for instance. It's a great feeling. Swinging 60s of course. I also love the late 70s period, when punk and reggae come together. I really wish I could have seen Syd Barrett at the UFO club, and Hendrix coming to London and rising to fame. And the legendary Can performing in London.